Jo Leinen has been a member of the European Parliament for the SPD since 1999 in the Group of the Progressive Alliance of Socialists and Democrats. He is chairman of the delegation for relations with the People’s Republic of China and, among others, a member of the Committee on Constitutional Affairs. This commentary was originally published by EURACTIV Germany. Successful policymaking is dependent on contact with citizens, exchange with civil society and on communication with the economic areas impacted by EU regulations. To bring up interests in front of decision-makers like MEPs and Commissioners is among the basic principles of an open democracy. According to article 11 of the EU Treaty, the institutions are even obliged to “by appropriate means, give citizens and representative associations the opportunity to make known and publicly exchange their views in all areas of Union action”. It is crucial that the representation of interest is disclosed. It must not be felt that financially strong sectors can more easily incorporate their positions in the political process than representatives of civil society or non-governmental organisations. The representation of interests must therefore be made as transparent as possible and comprehensible for everyone. For many years now, we have been advocating a strengthening of the EU transparency register in the European Parliament. Since Jean-Claude Juncker, as President of the Commission after his election in 2014 launched a transparency campaign, this has been very successful. The EU transparency register of the Commission and the European Parliament was initially created as an incentive-based system in 2011. Lobbyists, no matter from what sector, as a single person, organisation or company, had to register and disclose their interest and their clients. In exchange, they got advantages like permanent access to the European Parliament. The registry started with notable success and shortly after its founding had more than 7000 entries. But, up to 2014 far fewer new registrations could be noted. As a voluntary register is not enough, measures had to be taken to guarantee that lobbyists without registration would not be able to continue their work. This is how, step by step, a de facto compulsory register was created. Accordingly, since 1 December 2014, only those people get appointments with Commissioners, their Cabinets or Directors-General, if they or their company are registered in the transparency register. Moreover, the meetings are disclosed online. The ground rule “no access without registration” showed a resounding success. The number of entries increased to 11,500 lobbyists, also because the European Parliament introduced similar regulations. In December 2016 members of European Parliament committed themselves in their rules of procedure to only meeting with lobbyists mentioned in the register. Furthermore, a so-called legislative footprint has been established. MEPs being in charge of legislation, so-called rapporteurs, can display with which organisations they exchanged views during the legislative process. Many MEPs also started disclosing their appointments on their personal websites. 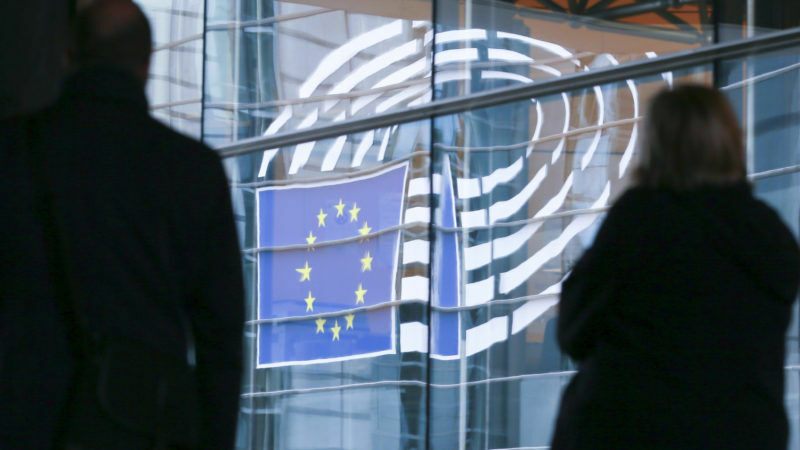 The European Parliament is in the process of setting up the necessary infrastructure so that such information can be made available centrally on the Parliament’s online presence. Unregistered lobbyists now have a difficult stance in the European Union and the European Parliament and the Commission are determined to continuously improve the system. Currently, there are negotiations between the Commission, the Parliament and the Council to strengthen the legal basis. Which can be considered as extraordinary, as the Council for the first time declared it would join the register. Despite its extraordinary meaning in the European legislative process – and that is what made it an attractive target for lobbyists in the first place – the representation of the member states has until now been a black box among the EU institutions. The European Parliament therefore insisted on a substantial participation of the Council with similar measures as in the Parliament and the Commission. The next month will show if the member states will live up to their commitment towards transparency or only want to save face. The data quality of the register will also be improved by extending control as well as the possibilities for sanctions for lobbyists in case they breach the code of conduct. The last loopholes will also be closed. Law firms should not be able to hide behind legal secrecy if they act as representatives of interests and not as legal advisors. To ensure that the true clients are not disguised by illicit organisations, non-governmental organisations should be obliged to disclose their large donors, as is the case for political parties. Finally, the principle of “no access without registration” should be further extended. While the upper floor of the Commission is now well lit, meanwhile no one knows what happens at the lower levels. However, important preliminary work on legislation is performed in subordinate departments. Apart from direct interest representation, there are other transparency construction sites that are currently being approached. Most recently, in September 2017, the European Parliament positioned itself with a list of claims. In particular, it is intended to better regulate the so-called “revolving door effect”, in which high officials of the Commission and Commissioners seamlessly fold back into the economy and face suspicion of bringing in contacts and secrets, or even worse, making decisions in favour of the future employer during their term in office. Under pressure from the Parliament, the Commission extended the waiting period for former Commissioners to two years and for former Commission presidents to three years. More important than the duration of the “cooling-off” period is who decides whether or not the transition to the new position might result in a conflict of interests. So far, this has been done by the Commission itself, meaning by former colleagues. In order to remove suspicion about dirty tricks and corruption, it would be better to transfer this function to an independent body. The European people’s representation also wants the improvements achieved during the TTIP negotiations to become the minimum standard in all future negotiations. Secrecy is the seed of conspiracy theories. We should take advantage of the opportunities offered by the information age and reconsider the negotiations with other countries on an ongoing basis with the population and make them participate in the process by publishing in addition to negotiating mandates all relevant interim results of the talks. The trialogue, a sort of informal mediation committee between the Council, the Parliament and the Commission, also needs to become more transparent. For efficiency reasons, many of the European laws are now negotiated in such trialogues rather than in public reading. However, efficiency must not come at the expense of transparency. The population has a right to know who is in these rounds and which positio they hold. Agendas, summaries of the results and protocols must therefore be made available to the public. The European Parliament will continue to fight not only for the European Union to keep its pioneering role in transparency, but also to expand it. Because the distance between the Union and the citizens is particularly large, we must avoid any appearance that not the elected representatives and governments but lobbyists and representatives of particular interests will decide for Europeans. The image of the non-transparent Brussels spaceship, however, belongs in a museum, because it is not true. In many capitals, one would be well advised to emulate the EU instead of fomenting prejudice.